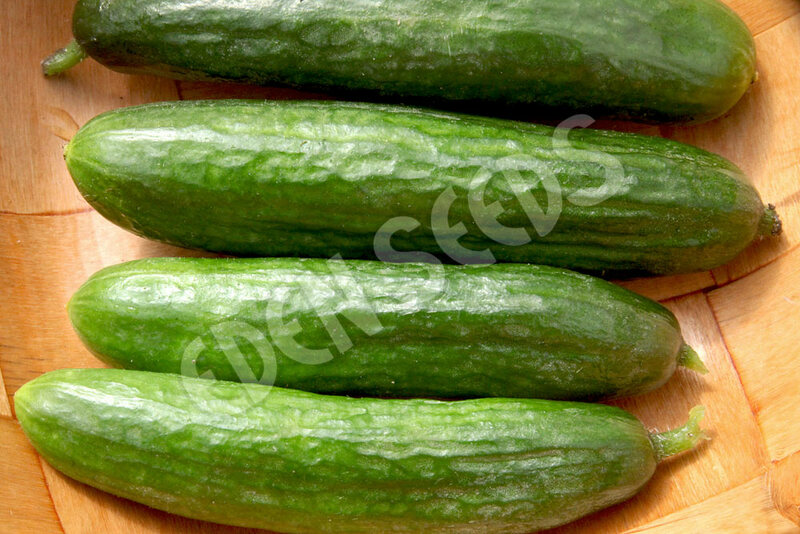 Medium green, straight fruit to 15cm with taper at blossom end, salad or pickling. 55-57 days. Read more on growing Cucumber here. First cultivated in India at least 3000 years ago. Summer salad vegetable, known to the ancient Greeks and Romans. Likes rich well drained soil, though not heavily fertilized, add lime to obtain pH of 6.5. Keep moist. Can sow indoors 5 weeks before planting, take care not to damage roots, shallow roots also damaged with cultivation. Best grown on trellis and planted where it gets no overhead watering. Sow after frost.